Kamote or sweet potato is a known root crop that many Filipinos eat. It is planted and harvested in many parts of the world, especially in hot regions like the Philippines. It has a purple flower and heart-shaped leaves, but did you know that there are different nutrients and chemicals that can be obtained by eating a sweet potato? The different parts of the sweet potato plant also contain many types of chemicals and nutrients that may be beneficial to your health. Sweet potato’s leaves contain anthocyanins and phenolic acids. According to studies, it has a crude protein; crude fat; crude fiber; carbohydrate; moisture contents. It also contains vitamins such as vitamin A, and vitamin C. It also contains minerals such as zinc, potassium, sodium, manganese, calcium, magnesium and iron. The foliage is a valuable source of vitamins A, B and C, iron, calcium and phosphorus. Its leaves also can be eaten as a vegetable or grind to the affected parts of the body as a medicine as well as its roots. 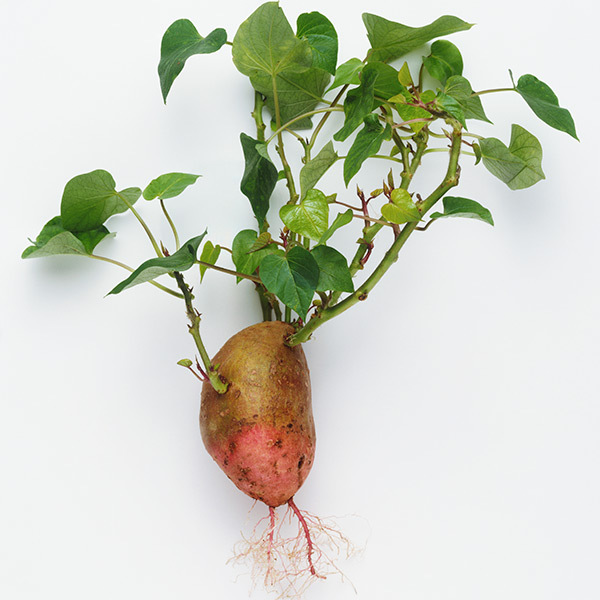 Moreover, sweet potato can also cure different conditions and diseases. Eating sweetened sweet potato leaves or sweet potatoes is effective for the purpose of improving the healing of diabetes. Drinking water from boiled sweet potatoes can also help. Effective treatment of boil is the bark of sweet potato leaves. Potassium root is usually eaten for diarrhea conditions to effectively cure it. It is also helpful to drink sweet potato leaves to restore damaged platelets due to dengue disease. Sweet potato has a high level of beta-carotene which is a powerful anti-oxidant that protects the destruction of cells caused by free radicals. It helps to quickly heal the skin by just spreading bark leaves of a sweet potato on the affected parts of the body.